Your hair (and wallet) will thank you. We now live in the golden age of drugstore beauty, where some hair products not only match the effectiveness of expensive products, but they even excel far beyond their pricey counterparts. 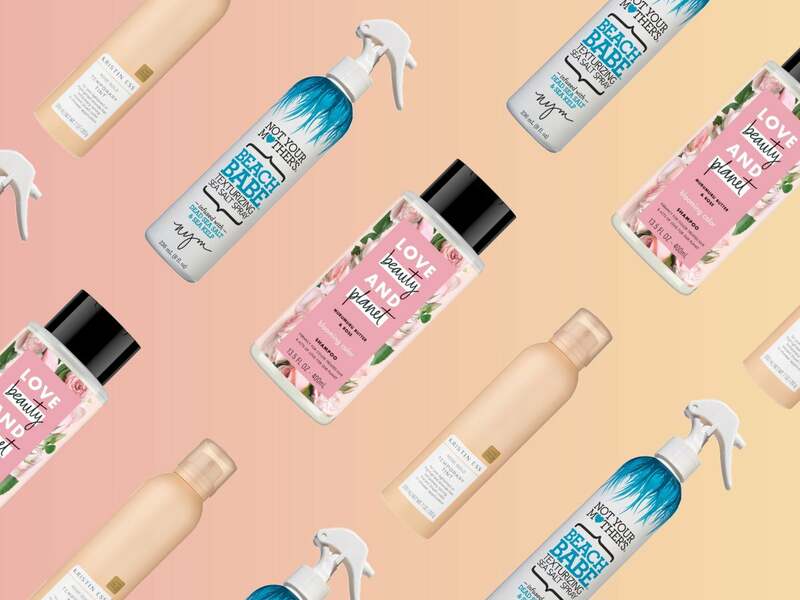 Below, we’ve compiled a list of the 16 best drugstore hair care products that are beyond extraordinary. Well, 1515 positive reviews can’t be wrong, right? This dry shampoo can dry shamp with the best of them. Ridding your hair of grease? Yep. Pumping up the volume and fullness? Oh yeah. Just spritz on hair, let it absorb for about 30 seconds, and then comb through to make sure it really is blended. Or, if you’re going for that messy look and combing would ruin the aesthetic, massage with fingers until blended. This smells like a heavenly beach and gives gorgeous texture and curls—for less than $5 (we can’t get over it). Oh, and it’s alcohol-free and cruelty-free. Just spritz through damp hair and let it air dry. You can even use this as a texturizer if you don’t want beachy curls, but still want a little piecey-ness to hair—it gives a little grit to clean hair, making it look instantly cooler. This weightless texture spray creates those dreamy, beachy waves you’ve always wanted, with the added bonus of volume and shine. This spray has it all, thanks to zeolite (for texture), fatty acids, and vitamin C (for shine, nourishment, and repair). Hair is left perfectly undone, textured, and voluminous. And it’s great on freshly washed or second-day hair to add texture: Just simply spray on dry hair from mid-length to ends, and under the roots. This iconic clear shampoo is a master of the deep cleanse. No shampoo can clean scalps and hair cuticles quite like this clarifying one. Grab this bottle for when hair is feeling a bit dull or product buildup is making strands a bit limp: It is capable of removing 90 percent of residue from the scalp. The trick to this powerful shampoo is using it sparingly, only about once a week or every other week. Because it’s so powerful, it can boost the effectiveness of your other products (a cleaner scalp means products work better), and it gives major volume boost, too (thanks to the lack of product buildup). For those of you with curls (lucky! ), this leave-in conditioner might become your best friend. Dry, dull, brittle hair can be salvaged into soft, shiny curls instantly, thanks to this weightless spray with wheat protein and B5, which fortifies and strengthens hair. It’s also made with natural ingredients to moisturize (instead of those yucky synthetic silicones), and will weightlessly smooth and detangle even the tightest of curls (but can work on all hair types). Spray on hair, focusing mostly on mid-length and ends, and go about your day. You can even use it on second-day hair to revive curls, add definition, and hold. I mean, throw a gorgeous rose on the packaging and scent it with Bulgarian rose petals, and we’re there! But beyond the amazing packaging and incredible scent, this brand is doing really, really big things for the planet: Each bottle is made from 100 percent recycled materials; the shampoo is vegan and never tested on animals; and it has zero parabens, dyes, and silicones. Oh, and the brand aims to reduce its carbon footprint by 20 percent by the year 2020. Also, for each carbon ton it produces, the company will donate $40 to a carbon tax fund, which supports programs that reduce carbon emissions and landfill waste. Your hair (and the planet) is going to thank you. Sometimes, brands and companies sell incredible products that are worthy of your hard-earned cash. Yes, sometimes, that $35 hair barrette is worth your time and money, and indeed, if the mood strikes you, you should purchase that $20 headband. But there’s no need to spend more than the price of a latte on a pack of bobby pins. This Scunci 50-pack gets the job done flawlessly, and they now offer their bobby pins in color options, whether it’s brunette, blonde, or darker hair colors. Got three seconds to spare? Oh good, because you can cover up gray or uncolored roots in that much time, thanks to this quick root spray. You just spray roots (hold the bottle about four to six inches from the scalp so that you don’t get too much product in one concentrated area). Then, lightly spray, allow it to dry for a minute, and brush through. Wham, bam. L’Oreal is a master at coloring too, so among the eight shades, you’ll find your perfect match on the go. Guys, people are losing their minds with this Kristin Ess line. The celeb hairstylist launched her Target line two years ago, and she just keeps adding new launches. (Doesn’t that packaging make it look like a million bucks?!) The whole line is super affordable, super effective, and super gorgeous. This rose gold temporary tint is really fun, too. It’s actually the first ever in-shower “watercolor” tint, which creates a temporary tone when sprayed on wet hair, and just rinses out when you’re over it. Your favorite upstate NY-based buds, Captain Blankenship, have just created an exclusive-to-Target skincare and hair line called Sailor. But specifically, this Sea Salt Refresh Spray is really neat—it’s both a dry shampoo and a texturizer. This means it both cleans and dirties hair up—but in the good, just-woke-up-like-this, cool-girl hair way. Launched by Unilever at the end of 2017, ApotheCARE Essentials is especially affordable—everything retails from $10.99 to $12.99—and the whole line is free of silicones, parabens, and dyes. Not to mention, New York’s coolest hairstylist Teddi Cranford is their lead stylist. This shampoo is the talk of the town (or at least the CVS comments section for this product), specifically for its volume-boosting skills. Rosehip oil, geranium, and aloe vera give fine and flat hair a much appreciated, last all day type of lift. Okay, this blow dryer is kind of a game-changer. The nozzle literally twists to “360 Vertical Mode” to create a tunnel of powerful air jets that drys hair faster, more smoothly, and with less damage. It’s pretty incredible. This deep cleansing treatment is perfect for a clarifying rinse, thanks to apple cider vinegar, tea tree oil, and shea butter (which adds a dose of moisturizing conditioning). Hair is healthier and your scalp is detoxed, plus there’s no gunk from sulfates, parabens, silicones, or phthalates. This rinse is almost identical to apple cider vinegar treatments that are five times more expensive, so consider this a big bang for small bucks. Shoppers love this dry shampoo, as do editors and stylists. This is all thanks to its ability to fully absorb into the hair and give the bounciest, most natural look to locks (you won’t feel it at all). It’s especially great for darker hair colors because it seriously is undetectable—just be careful not to overdo it. Give those locks some TLC. This travel-friendly treatment contains tropical coconut oil, shea butter, and biotin to restore and protect weak, dry, damaged-looking hair. Hair is softer, detangled, stronger, shinier, and frizz-free after just one deep treatment. The be-all and end-all for both stylists and beauty editors, this hairspray is iconic for its ultra fine mist that disappears into hair, but also holds hair in place all day. That seems like an oxymoron… until you try it and see how legendary it is. This story was originally published in August 2018, and has been updated.